Plan your next party in our VIP suite! Our 6 lane suite can accommodate up to 36 bowlers, featuring 2 pool tables, big screen TVs, projection screens and music of your choice! Book the VIP suite for a private party with friends! Our full bar includes great draft and craft beer, wine, and soft drinks. We have a great catering menu or order from the King Pinz Grille Menu. Pricing is just $135 per hour Monday-Thursday and $155 Friday-Sunday. 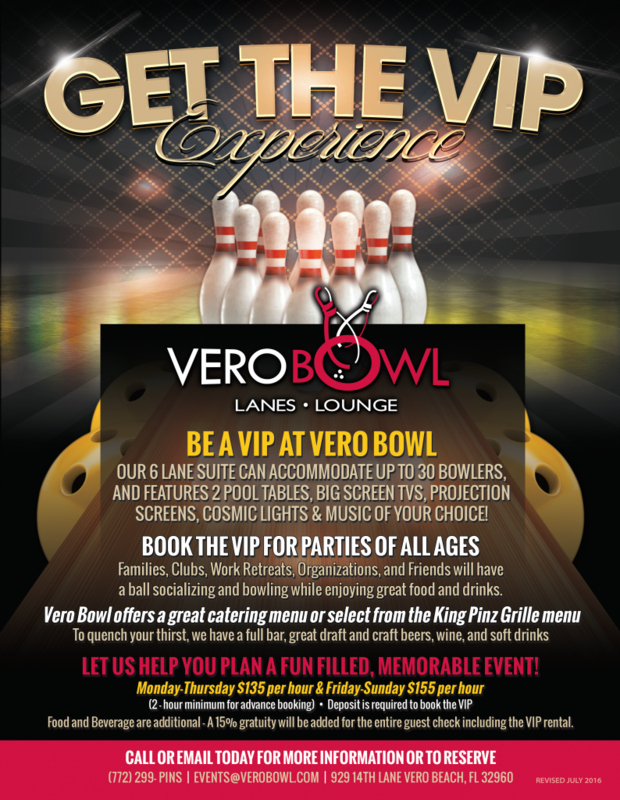 You can also give us a call at (772) 299- PINS (7467) to reserve your spot now!